October 20, the so-called Supreme Court of Crimea, considered the appeals in the case of the 6 Crimean Tatars detained in Bakhchysarai. October 12, the Kyiv District Court of Simferopol elected a preventive measure for the detained in the form of remand in custody. Mammet Mambetov, the lawyer of one of the accused, provided the information on the matter on the air of Hayat Radio. He noted that the court did not grant the defense motion. “The court session passed quickly. There was a videoconference. My client, like the rest, was not brought to the court building. This hearing was held by video link from the remand centre. The defense motion was not granted," he informed. Mambetov went on saying that the court rejected a petition to hold the meeting openly, and also dismissed the arguments about the unlawful detention. "All our arguments about the fact that the detention itself and further changes in the measures of restraint were a grave violation of the criminal procedure code of the Russian Federation, as well as international law," the lawyer said. He noted that on October 23, a court session will be held on the prosecution of his client, Seyran Saliev. 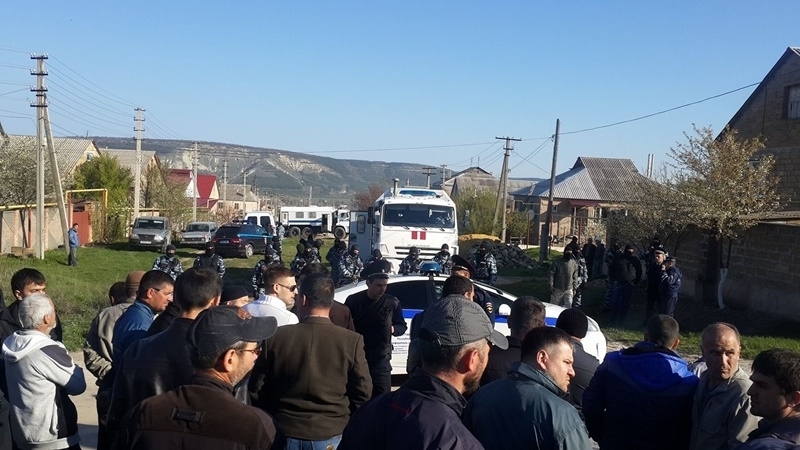 On October 11, occupants were massively conducting searches and detentions in several homes of Crimean Tatar activists in Bakhchysarai from the early morning. On October 12, the Kremlin-controlled court of the Kiev district of Simferopol arrested all detained Crimean Tatars for two months. Timur Ibragimov's lawyer, Dzhemil Temishev, said that the detained activists were charged with "a crime against the fundamentals of Russia's national security, constitutional order and territorial integrity.